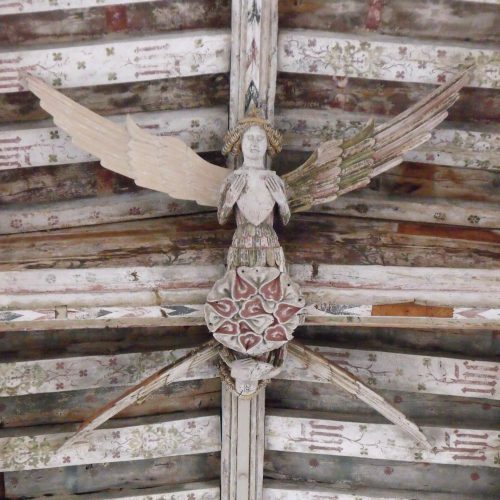 The great coloured angels with outstretched wings in the unforgettable nave roof and the medieval carvings of the seven deadly sins on the bench ends including ‘Gluttony’ with his paunch. 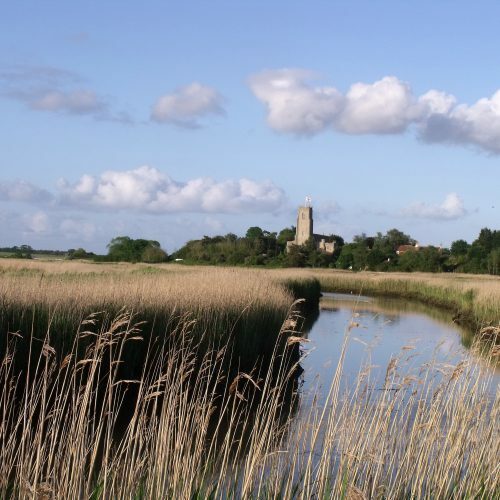 At the time of the Norman Conquest, Blythburgh was part of the royal estate with one of the richest churches in Suffolk. 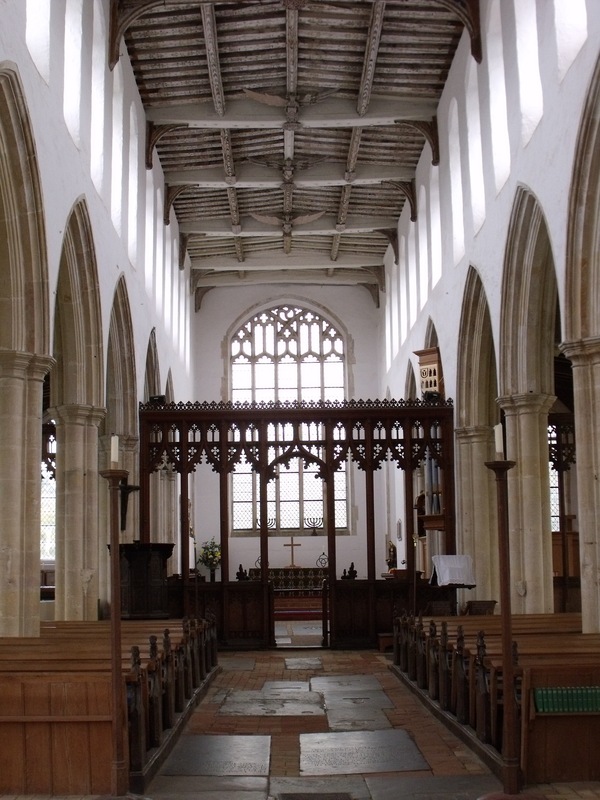 With the founding of an Augustine Priory, the church was rebuilt in 1412, reflecting the wealth of the busy port. 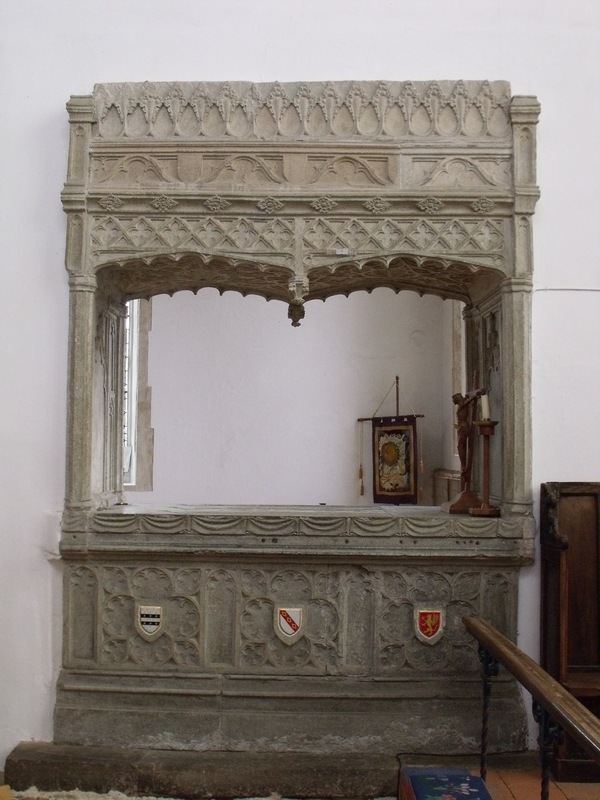 It fell on hard times with the closure of the Priory in 1598 and by 1880 the rain was pouring through the roof. 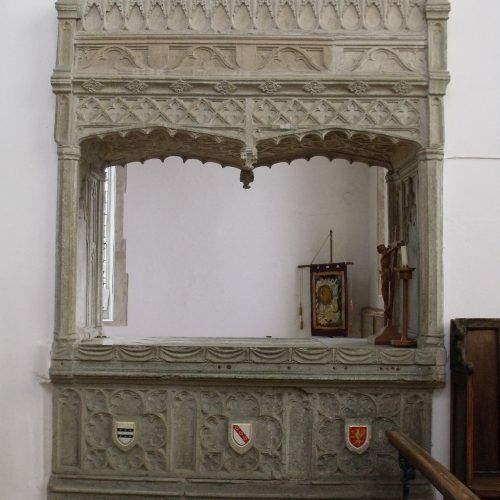 Restoration has been ongoing ever since. 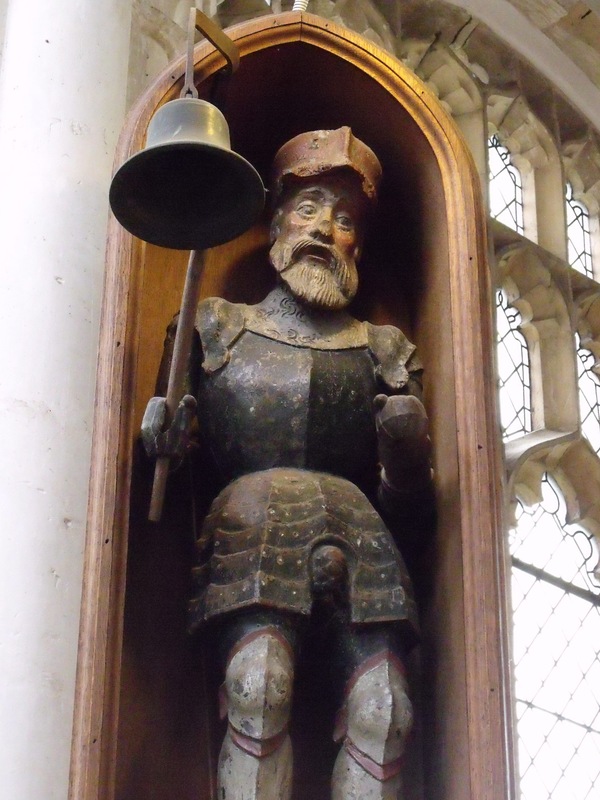 Jack of the clock, a mechanical figure dating from 1682 designed to strike the hours. He’s almost as famous as the Southwold Jack. 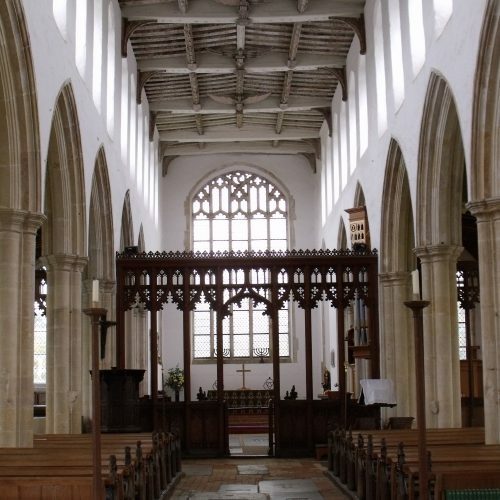 Black Shuck, the demon black dog of East Anglian legend, who was supposed to have burst into the church during the great storm of 1577, killing two people and causing the steeple to collapse through the roof. Hard to believe? Just look at the scorch marks on the door! 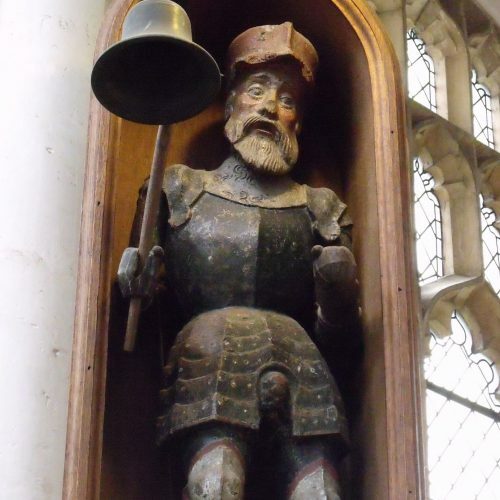 The church is a natural setting for works of art, not only for exhibitions, but for contemporary pieces that have found a permanent home there, including the 14 ft wide bronze in the chancel called the Beast of Burden by award-winning sculptor Laurence Edwards. 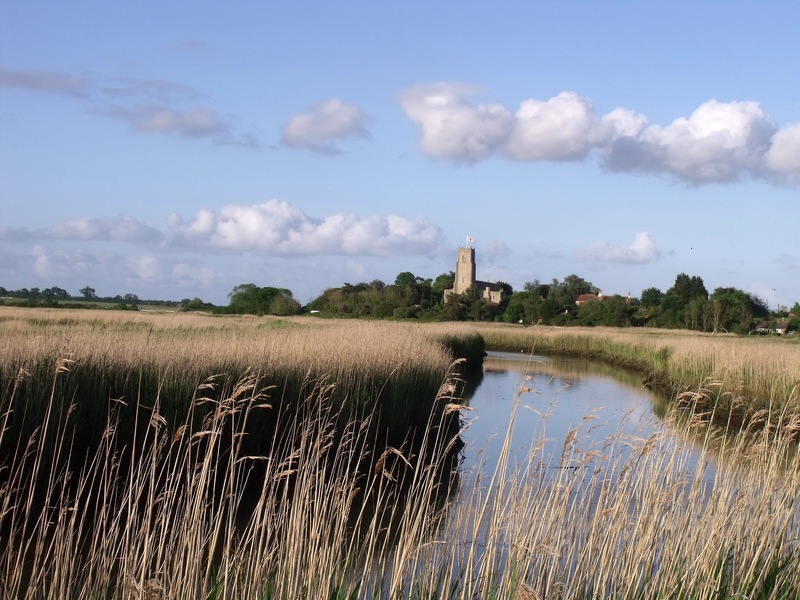 A riverside walk to Walberswick church with wonderful views across the marshes. 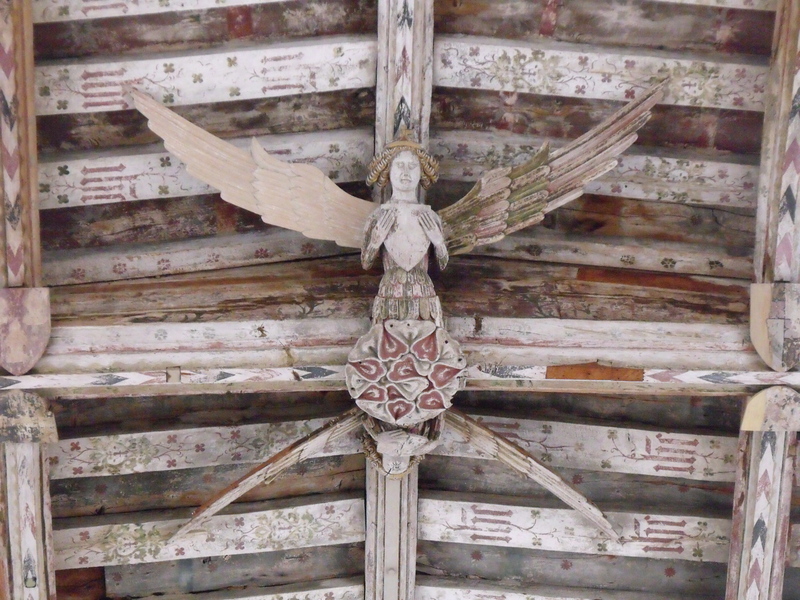 Find it on the Angels & Pinnacles orange Church Heritage Trails leaflet No. 1 in the series.